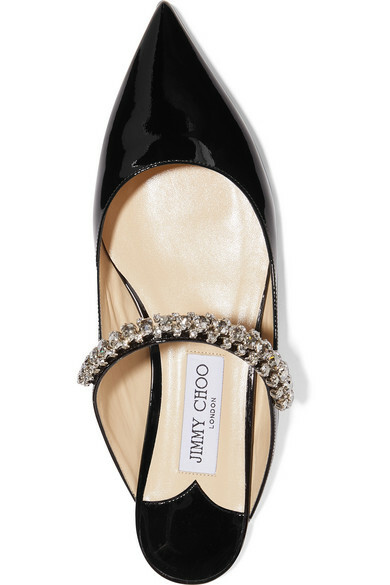 After the success of the label's 100mm mules, Jimmy Choo adds to its 'Bing' collection with these slippers. 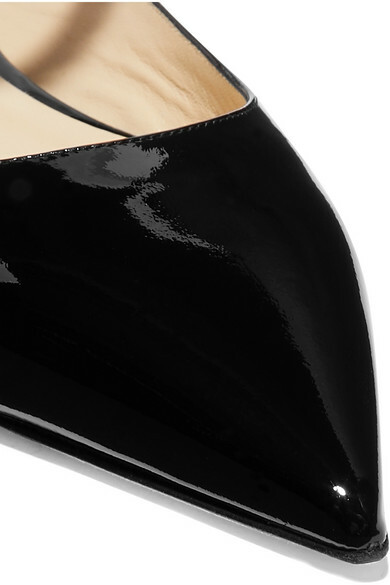 Inspired by the eccentric Surrealist Ball costume party held in '72 by Marie-Hélène de Rothschild, this pair has been made in Italy from glossy patent-leather with a sleek pointed toe. Show off the crystal-embellished top strap with everything from cropped denim to eveningwear. Shown here with: Rasario Gown, Gucci Shoulder bag, Kenneth Jay Lane Earrings.